A wild horse advocate and energetic Freedom of Information Act filer has been awarded $69,019 in attorneys' fees, in a case that shows the high and sometimes disputable cost of litigation. Debbie Coffey first beat the Bureau of Land Management in court, when her FOIA lawsuit led to BLM releasing more documents on the agency's Wild Horse and Burro Program. That victory entitled her to seek attorneys' fees. But in a decision issued yesterday, U.S. District Judge James Boasberg also concluded that Coffey's request for $125,541 went too far. "The preparation of the motions could have been accomplished in approximately half the time listed," Boasberg stated. Attorneys' fees are a frequent source of contention for the Interior Department and other federal agencies targeted by FOIA lawsuits. The law authorizes payment of "reasonable attorney fees and other litigation costs reasonably incurred" in a case where the FOIA filer has "substantially prevailed." To prevail, the FOIA filer must demonstrate that the lawsuit "caused the agencies to release the documents obtained during the pendency of the litigation." Sometimes, that becomes the government's first line of defense (Greenwire, May 25). In Coffey's case, Boasberg noted, the government "does not contest" her eligibility. She prevailed, fair and square. Instead, Boasberg said, the government believed that "the number of hours listed is both insufficiently detailed and excessive." The dispute goes back several years and is part of an ongoing information-gathering and advocacy effort by Coffey, who is vice president of the Texas-based Wild Horse Freedom Federation. "Debbie Coffey knows a great deal about wild horses and burros, and how those animals are treated by the federal Bureau of Land Management, but she wants to learn more," Boasberg explained in a 2017 decision. So Coffey submitted a FOIA request in 2015 to BLM for copies of communications between its officials and private-citizen participants in the Wild Horse and Burro Program. 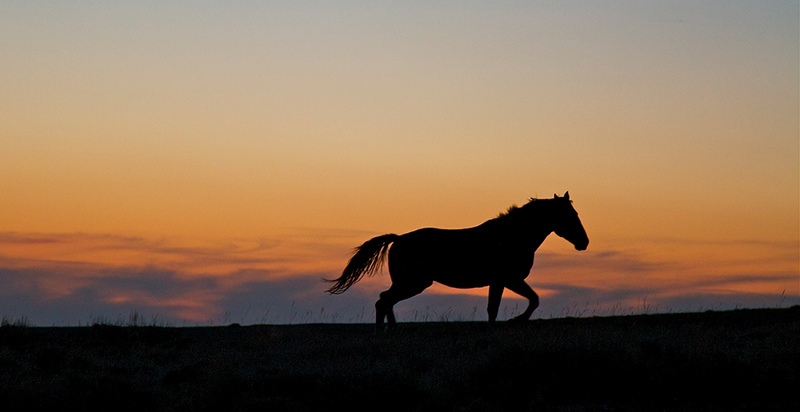 The BLM cares for about 45,000 wild horses and burros at an annual cost of nearly $50 million. The bureau charged her $1,680 in processing fees, which were later refunded. Nearly nine months after Coffey paid the processing fees, and three weeks after she sued, BLM in 2016 provided her 514 pages; 86 pages were redacted in part, and 95 pages were redacted in full. Only three pages were actually relevant to her request. "Defendant does not dispute that nearly all of the pages released to Coffey were non-responsive," Boasberg wrote, citing an apparent "processing error" in BLM's FOIA office. BLM received 852 FOIA requests in fiscal 2016, while Interior as a whole received 6,428. The number of requests to BLM jumped to 1,024 the next year, and Interior's total reached 8,005, according to the department's annual reports. Boasberg last year ordered BLM to do a better search in response to Coffey's FOIA request. The agency then found and turned over an additional 211 pages. In his decision yesterday, Boasberg did not question the attorneys' hourly rate of pay but instead disputed the number of hours required, citing the example of "almost 40 hours to prepare for and draft an 8-page [motion]" as being "easily too much." Interior reported spending $14.6 million on FOIA-related personnel and costs in fiscal 2017, of which $796,756 was attributed to litigation. BLM accounted for nearly one-third of the litigation total.